The IELGs explain how babies and toddlers grow and develop. The Guidelines are for caregivers, program directors, teachers, early intervention specialists, parents, policymakers, and anyone else who is concerned about the well-being of children, birth to age 3. The Guidelines were originally printed as a book, about 170 pages long. You can read this book online or download the entire document as a printer-friendly PDF. The Guidelines are also available in Spanish. How were the Guidelines created? The Guidelines were developed by people from several groups in Illinois that focus on the well-being of babies and toddlers. What’s the purpose of having early learning guidelines for infants and toddlers? The Guidelines have several purposes. Your baby or toddler may spend several days a week being cared for by someone other than you. Many other adults, such as family members or health-care providers, may also be involved in her life. The Guidelines can help all of these adults move toward a common understanding of how babies and toddlers grow and change and what they need so they can thrive. The Guidelines can help a caregiver recognize when a baby or toddler is doing just fine or when the little one may be having a problem with growth or development. The caregiver can use information in the Guidelines to explain those concerns to parents. Parents can use information in the Guidelines to explain any concerns they have to a caregiver, health-care provider, or other specialist. Caregivers and parents can find suggestions in the Guidelines for activities and experiences that can help babies and toddlers thrive. Legislators and other policymakers can use the Guidelines to help them think through the ways that certain laws and policies might affect children between the ages of birth and 3 years. The Guidelines are designed to align with the Illinois Early Learning and Development Standards for children ages 3–5, the Head Start Child Outcomes Framework, the Illinois Early Learning Standards for Kindergarten, and the Illinois Grades 1–12 Learning Standards. All of these documents contain goals and standards related to what children need to know and be able to do by certain points in their lives. Aligning these general ideas about children helps teachers and caregivers provide a good education for all Illinois children. How are the Illinois Early Learning Guidelines for Birth to Age 3 organized? The Illinois Early Learning Guidelines are organized like a book, starting with a table of contents and an introduction, followed by separate sections about the newborn period, self-regulation, four “domains of development,” and approaches to learning. The first main section of the Guidelines covers the newborn period, from birth to about 4 months. The subsections also include short descriptions of what a child is usually able to do during four overlapping age categories: birth to 9 months, 7 months to 18 months, 16 months to 24 months, and 21 months to 36 months. 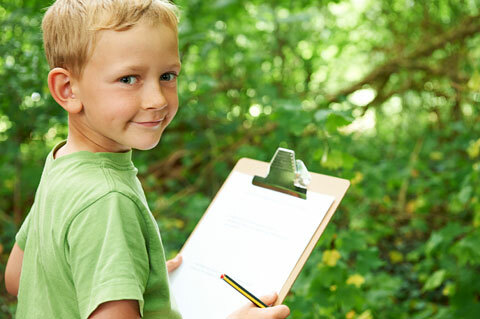 Each age category includes a short description of what a child is usually able to do at that age. Each age category also includes a list of “indicators,” or behaviors that you or a caregiver might notice. Below the indicators is a list of “strategies for interaction,” things family members and caregivers can do to promote a child’s learning and development. The second main section of the Guidelines focuses on self-regulation—how children take in and respond to information from the world around them and from their own bodies. Following the section on self-regulation are the sections related to developmental domains: social emotional development; physical development and health; language development, communication, and literacy; and cognitive development. The final section, Approaches to Learning, discusses ways that babies and toddlers investigate and make sense of the world (including the other people in it). The last part of the Guidelines includes a glossary of terms. It also provides information for directors and policymakers about how the Guidelines fit with the Illinois system of program services for babies and toddlers and how they align with the learning standards used by many preschools, Head Start programs, and schools in Illinois. What are some important things to know about the Illinois Early Learning Guidelines? The Guidelines are meant to be a source of information about babies and toddlers. People who might want to use them include caregivers, program directors, parents, college instructors, and anyone who makes decisions that affect the lives of young children. They are meant to present a way of thinking about babies and toddlers that can help improve the quality of services that are offered to very young children and families by child care programs, family service groups, and many other organizations and agencies in Illinois. The Guidelines are not a curriculum that tells your child’s caregiver what daily activities to use with children. The Guidelines are not a model for designing a program. However, they can be useful to people who are planning any type of program for children birth to age 3. The Guidelines are not a developmental screening or assessment tool. That is, they can’t be used to determine whether a child needs to be tested for developmental problems. But if you or your baby’s caregiver notice that your child cannot do something that is typical for his age, you might want to ask a health care provider about it or request a professional screening or an assessment. The Guidelines are not a program for caregivers’ professional development. They can be used as part of a training or professional development event and may give the instructor ideas about what to cover, but they do not tell the instructor what to teach. 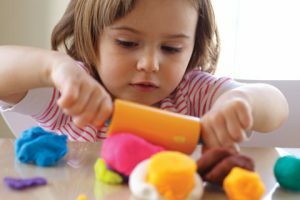 How might the Illinois Early Learning Guidelines affect my child? If your child’s caregiver uses information in the Guidelines to help with planning what to do with your child, your baby or toddler is likely to have a rich, positive experience in child care. For example, the caregiver can use the “strategies for interaction” in the Guidelines to plan and implement activities that fit your child’s abilities and interests. As a parent, you can also get new ideas from the Guidelines for things you can do to help your child learn and be healthy. You can find out about important topics such as brain development and infant temperament that can help you better understand your baby or toddler. When you and your child’s caregiver talk about your child, it might be helpful for both of you to refer to the specific Guidelines as you talk about what your child does and what you and the caregiver are doing to help your child learn and thrive. Can parents use the Illinois Early Learning Guidelines for Children from Birth to Age 3? You might use the Illinois Early Learning Guidelines in several ways. For example, reading the Guidelines can give you an idea of the kinds of skills and abilities your child’s caregivers will expect him to have. When you know what they will expect, you can ask the caregiver how the child care program’s activities will help your child learn and grow. The Guidelines also provide information similar to what you might get from your health care provider about “developmental milestones,” or the things children are usually able to do at certain ages. You may even want to print a specific part of the Guidelines to take to your child’s appointments to help you talk with the health-care provider about your questions and concerns. The Guidelines can also give you ideas about experiences you may want your child to have at home and in child care. The Guidelines define words that professionals such as teachers, health-care providers, and other specialists use when they talk about children’s development and learning—terms such as “joint attention” and “private speech” that most people do not use every day. These definitions can help you when you need to ask a caregiver or health-care provider about your child or when you want to better understand something they are saying about your child. Is it important to read the Guidelines all at once in the order they are written? In order to cover all aspects of babies’ and toddlers’ development and learning, the Guidelines are very long. Some parents may wonder if it’s best to read the entire Guidelines all at once or if they can approach it in “bite-sized” pieces. Either way is fine. You don’t need to read through it all to find valuable information. If you are wondering about your child’s emotional self-regulation or her language development, you can skip the other sections and look only at the ones that interest you at the time. The Guidelines will still be available when you are ready to find out more about other aspects of your child’s development and learning.